Minister for Foreign Trade and Development Anne-Mari Virolainen will make a Team Finland visit to Shanghai and Beijing on 4-9 November. She will be accompanied by a business delegation. The main aim of the visit will be to attend the China International Import Expo (CIIE), where Finland will have its own country pavilion. The pavilion will showcase more than 20 Finnish companies, while eight Finnish companies will have their own stands in the business area. The CIIE is one of the most important political events in China this year. A total of 480,000 participants have registered for the Expo, 220,000 of them from abroad. "China is Finland's fourth biggest trading partner; last year, the value of trade in goods between the countries reached EUR 8 million. The CIIE offers companies good opportunities to network with both Chinese companies and authorities," Minister for Foreign Trade and Development Anne-Mari Virolainen says. The Minister will attend a meeting of the Committee for Innovative Business Cooperation between Finland and China, to be held in connection with the Expo. The Committee was established during President Xi's visit to Finland in spring 2017. Its members are leading investment companies from both countries. Minister Virolainen will also visit Beijing, where she will open a High-level Dialogue Conference of the China Europe Water Platform (CEWP), to be attended by 10 Finnish companies specialising in water. She will give the opening speech at the High-level Dialogue Conference. In 2018–2019, Finland will act as the lead country of the EU and hold the European Secretariat of the CEWP. During the visit, Minister Virolainen will have a meeting with Minister of Water Resources, E. Jingping, among others. She will also attend events hosted by Finnish companies. 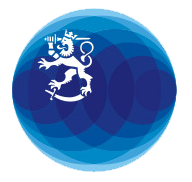 Minister Virolainen's visit will be organised in cooperation with Business Finland, which is part of Team Finland. The Team Finland delegation includes a total of 13 Finnish companies, while 36 companies make up the Committee for Innovative Business Cooperation.